I know Raven casually from the four years of the Gift-a-Long and elsewhere on Ravelry, and also from Google+. (She’s posting an inspiring daily hat feature for the GAL over there, by the way, and also on Instagram.) I associate her with her cute dog, Amber, and also patterns named for less well-known aspects of Tolkien’s Middle Earth. One of the things I like about the Gift-a-Long is working with other independent designers on a giant project. It’s a nice way to support each other. I also like introducing some of them to my followers. I met Robynn on Twitter this year and then realized we’d been in the Gift-a-Long together in previous years. Somehow this is extra satisfying. Here is my last designer interview for the Giftalong (remember the Giftalong?) — last but not least, by far. Sarah is my partner in crime design. We sit on her couch together some weeks and chat about this and that; other weeks we go out to a coffee shop or on a fiber field trip. Often, something she says will spark an idea for me, or vice versa. Other times, we’ll solve each other’s technical issues. Sarah often uses the Durham area as inspiration for her designs. 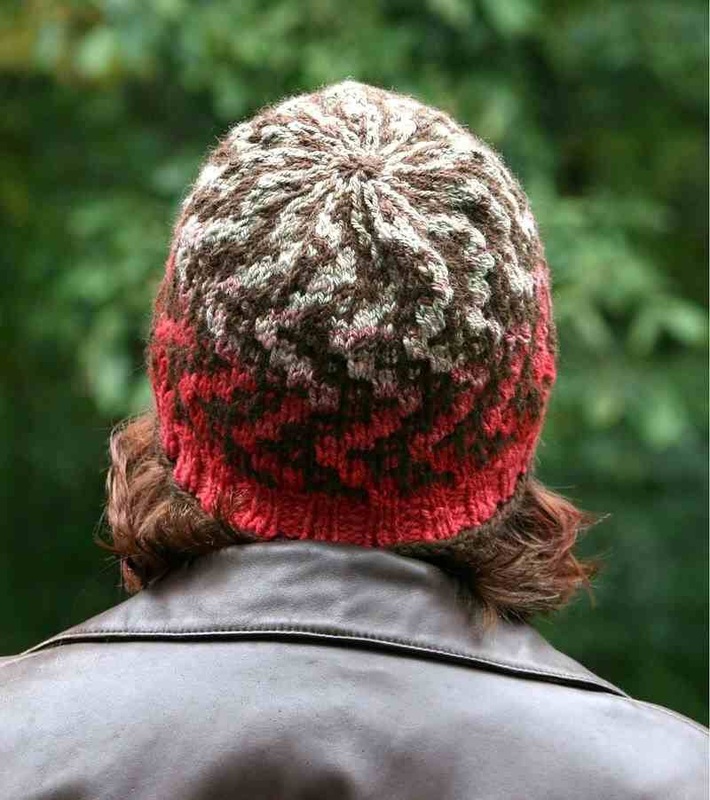 Her most recent pattern release in this vein is the Fitzgerald Bricks hat, shown above. It uses mosaic knitting (easier than it looks) and a combination of gradient handspun and solid commercial yarn (though it could use any two contrasting worsted-weight yarns). These are her patterns that are on sale this week. 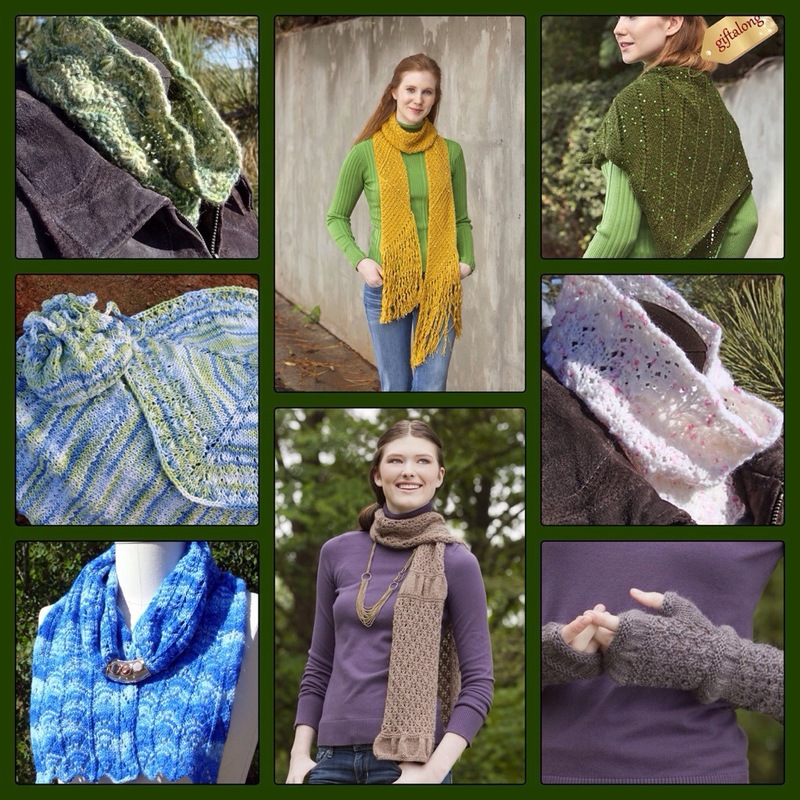 I’ve been participating in the Indie Design Giftalong on Ravelry. This is a group of people who are all knitting or crocheting patterns from participating designers and talking about it together. It’s a lot of fun, people are making things for other people or themselves, and there’s a lot of sharing going on. (There are also prizes.) It’s not too late to join in! One of the things I’ve enjoyed about it is the chance to work on a large project with other independent designers – there’s a lot of camaraderie involved, along with the chance to learn about each other. We’re also enjoying interviewing each other and sharing those interviews with our readers. I was pleased to interview Jean Clement. We were both working on the same part of the Giftalong project: pinning all the eligible patterns on Pinterest. I’ve also admired her Pelerine Dolman sweater since it came out.